Cordless impact wrenches are the answer to the age-long hassle of nut busting and fastening. If you’ve ever used a regular impact wrench (corded or air powered), then you’d know the disadvantages of moving around with it; issues of noise or the cost of flexibility just to mention a few. What is the Best Cordless Impact wrench to buy in 2018? Milwaukee, Ingersoll, Bosch, and Dewalt are definitely some popular brands to consider!. But even the top brands have different options to choose from. This Cordless Impact Wrench reviews, guides, detailed comparison and my ultimate recommendation below would help you make the right choice. So read on! Here is a roundup of the top rated cordless impact wrench we reviewed below. More details and comparison chart you will find below. If you need a an everyday cordless impact wrench with lots of torque to take out really difficult nuts, bolts or screw, choose the Milwaukee M18 Fuel 2763-22. It’s the first on our list and ready for difficult, robust task. If you’re looking to get the best of both worlds (heavy duty & DIY), then the Dewalt DCF889HM2 is the impact wrench to go for. Read - What is an impact wrench? What is an impact wrench and how does it work? Is there any difference between an impact wrench and impact driver? 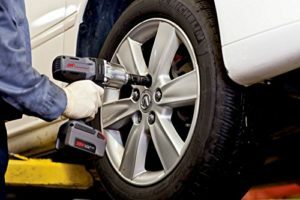 An impact wrench (also called torque gun, impact gun, air wrench, rattle gun, air gun, windy gun) is a powerful tool used by repair technicians for the loosening and tightening of nuts and bolts. It reduces the effort the user puts in and the time spent on fixing nuts and bolts. 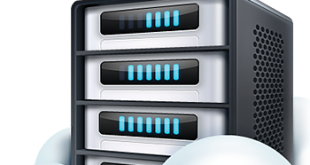 Simply put, it is a fast and efficient tool that requires minimal effort to use. Read - How does an Impact Wrench works? The different types all work in the same way. Impact wrenches work with the fundamental principle of an electric motor. It works by delivering a rotational force (or torque) at controlled speeds (called impacts). Because the impact wrench delivers force at a controlled speed (or bursts), the user is able to apply a larger torque to fixings than would be possible with regular wrenches. This reduces the effort required by the user; the bruised knuckles, fatigue and time spent on tightening or loosening any nut or bolt. 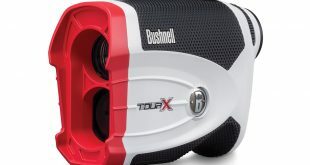 Our focus for this article is the Cordless Impact Wrench. The Cordless Impact wrench is battery powered and lacks a cord unlike the other types of impact wrenches. Now, because it is cordless, the Battery Powered Impact Wrench is less restrictive; allowing you better mobility within your workspace. Why buy a Cordless Impact Wrench? Recently, the popularity of Cordless Impact Wrenches has been on the rise among technicians and home users. This shouldn’t come as a surprise as many Cordless Impact Wrenches are outperforming their equivalent air counterparts without the compressor and airline hassle of the Air Powered Impact Wrenches. The absence of a cord (or airline) means greater mobility within your workspace; thus saving you more time, energy and ultimately, money. 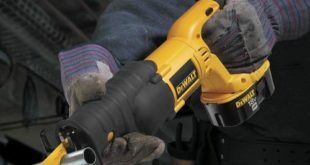 One little drawback of the Cordless Impact Wrench is the heaviness of battery packs in less expensive units which can lead to operator fatigue after prolonged use. 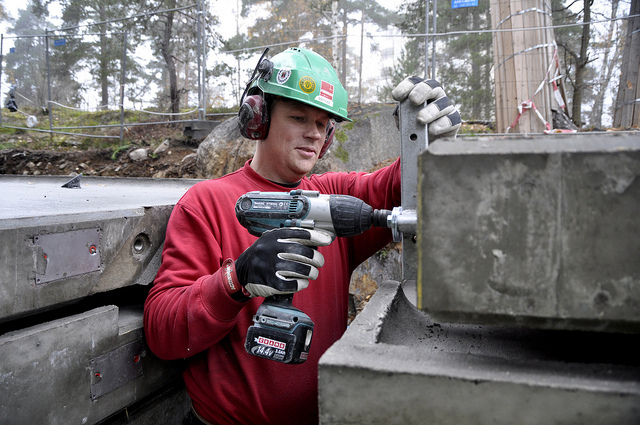 You can avoid this if you buy the best cordless impact wrench with ergonomic consideration. On this review, we will make a recommendation. 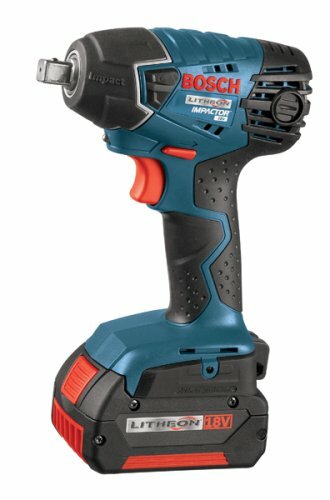 Read - Impact Driver vs Impact Wrench? What is the difference between an Impact Driver and an Impact Wrench? The difference between an impact wrench and impact driver is a source of confusion for many people. This is understandable as both power tools are very similar but are used for different purposes. An impact wrench has a much higher torque than the impact driver. An impact wrench is designed for doing the heavy lifting. An impact wrench is also designed for tightening or loosening stubborn bolts, lug nuts or any other troublesome nut or bolt. The impact wrench and impact drive are fundamentally the same but the impact wrench is for strong. stronger and difficult task. The higher torque rating of an impact wrench is due to its lower RPM (Revolutions per minute) and IPM (Impacts per minute). An Impact wrench has lower IPM, so they can save up on inertia and deliver 3 times as much torque as impact drivers. Read - Brushless Vs. Brushed Impact Wrench? The internal components of your cordless impact wrench matter a lot as they influence durability and performance. In a brushed impact wrench, the individual components of the motor are in contact with one another. 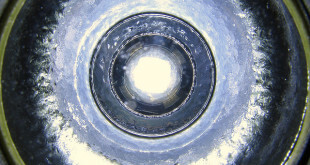 This leads to friction which causes wear and tear. A brushless impact tool is an exact opposite. In a brushless impact wrench, the component parts are NOT in contact. Hence, no friction or wear on the motor. 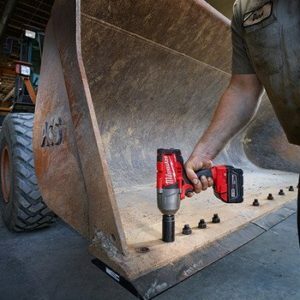 This makes cordless impact wrenches with brushless motors more durable. A comparison table for you! Here is a quick review of our 5 top rated cordless impact wrenches. The Milwaukee M18 Fuel 2763-22 is first on our list. Boasting 700lbs fastening torque and 1,100lbs nut removing torque, the Milwaukee 2763-22 is one powerful cordless impact wrench. This state of the art gun has handled every nut we’ve thrown at it. It took off lugnuts, crank bolts, axle nuts and even control arm bolts. We’re super impressed with the power of this impact tool. The Milwaukee 2763-22 has the only brushless motor on the list. Brushless motors are super durable. This reduces the wear and tear caused by friction. With two fastening torque modes, this impact gun is suitable for all tasks. 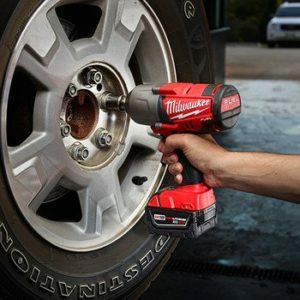 If you need an everyday cordless impact wrench with lots of torque to take out really difficult nuts, bolts or screw, choose the Milwaukee M18 Fuel 2763-22. Concerned about battery draining fast? No need. The Milwaukee 2763-22 comes with two red Lithium-ion XC 4.0 batteries. These batteries last for more than 8 hours of heavy work. Charge time for this tool is less than 30 minutes. It has a battery gauge to check battery and charge status. The Milwaukee 2763-22 also comes with a fast multi-voltage charger. There is also a 1/2″ friction ring for an easy and quick change of sockets on this 18V tool. Another thing we love about this gun is that other Milwaukee products can use the same battery as this gun. 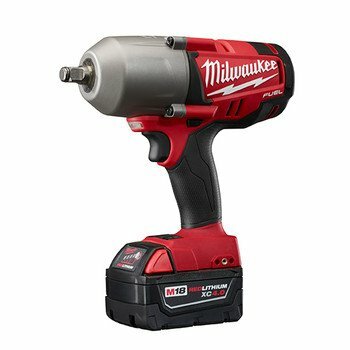 A huge plus as you can save on batteries on other Milwaukee products. The downside to this amazing impact tool is that it is quite heavy. 7lbs (tool and battery) may not seem heavy at first but after prolonged use, your arm will definitely be feeling the burn. However, the power that comes with this Milwaukee impact wrench makes the weight totally worth it. 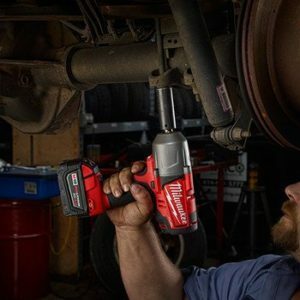 It doesn’t matter if you’re an amateur or a professional mechanic; the Milwaukee 2763-22 will perform any task you want.With its high nut busting and fastening torque, you can be sure no nut can stand the Milwaukee 2763-22. This is the absolute best cordless impact wrench out there for anyone serious about tackling nuts, bolts, and screws. The small but powerful Ingersoll-Rand W7150-K2 makes it to the number two spot on our list. This cordless impact wrench comes with 1100ft-lbs nut removing torque power rating. Let’s not forget its 780ft-lbs maximum reverse torque power rating. It removes1-1/2” lug nuts, axle, and crank pulley bolts etc.on tractors, trucks or any other type of vehicle. Whatever your task is, this cordless impact wrench has got you covered. Weighing only 6.8lbs but packing a speed of 1900 RPM, we’ve taken to calling this impact wrench “mighty Inger”. 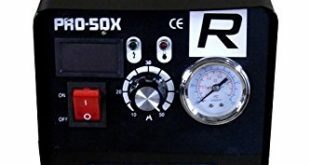 With a variable speed and electronic brake switches. We love this particular cordless impact wrench. 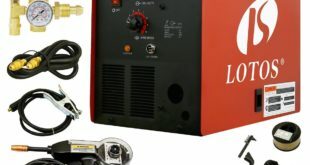 The Ingersoll-Rand also comes in a steel-lined aluminum casing to protect internal components. 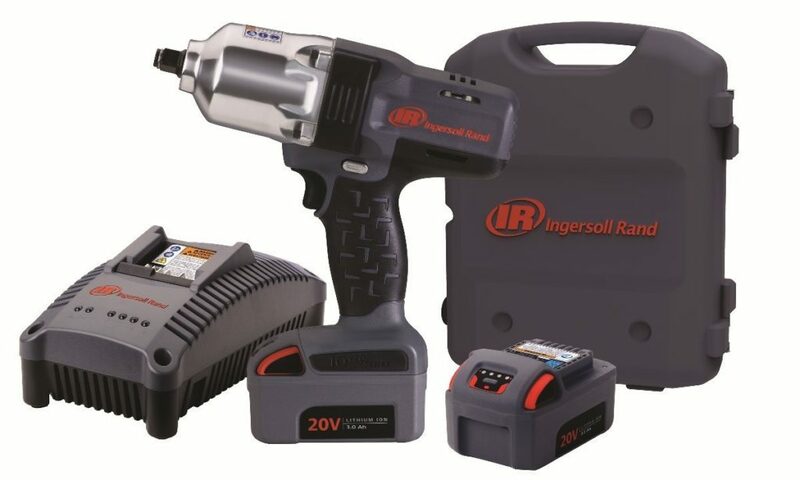 ”If you require a high torque tool, the Ingersoll-Rand W7150 is definitely the impact wrench for you”. 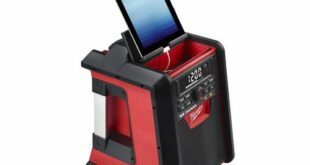 With the torque on the Ingersoll-Rand, you would expect the battery to drain quickly. We were more than happy to be proven wrong. This impact wrench has two Lithium-ion batteries which hold their charge for more than four hours each. Ingersoll-Rand W7150-K2 comes with a hog ring connection that enables the fast change of sockets. The charge time on this power tool is just 30 minutes. It also comes with a charger and battery LED indicator that shows charge status. We would love to tell you that the Ingersoll-Rand W7150 is perfect, but it is not. The noise level is a little high. There is no lighting attached to this impact tool. You have to bring your own light when you work in the dark. Even with the tremendous torque, we are a little unhappy about the positioning of the trigger and reverse/forward buttons. It can get a little technical using this impact tool if you are right-handed. Although once you’re used to this powerful tool, the positioning of the two buttons ceases to be a bother. If you require a high torque tool, the Ingersoll-Rand W7150 is definitely the impact wrench for you. This portable cordless impact wrench will do the work of your air impact tool without hassle. It would be a mistake to pass up this amazing gun. The Dewalt DCF889HM2 comes in at number three. This is one of the best cordless impact wrenches for DIYs enthusiasts and amateur mechanics. 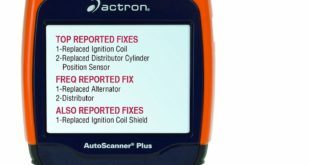 It’s a home and car owner repair dream tool. The Dewalt DCF889HM2 has a 400ft-lbs torque power rating. With 20V on its belt, this impact tool will remove lugnuts, nuts in wood and concrete. This is perfect for all home improvement activities as well as working on your vehicle. With a magnesium gear casing and an all-metal transmission, the Dewalt DCF889HM2 is built to last. Its hog ring anvil makes it easy to change sockets pretty fast. And with its LED light, you can work in the dark with ease. Worried about battery draining fast? Don’t bother about that. This impact tool comes with XR Lithium-ion batteries that retain their charge for more than 4 hours of heavy work. And the battery charges in less 30 minutes. ”This impact wrench is a great tool. All you DIYs enthusiasts and occasional mechanics out there, this cordless impact wrench was made just for you”. The variable speed trigger and brake button on the Dewalt DCF889HM2 make it really user-friendly. The fuel gauge is another handy feature that we absolutely love. Charge and battery status can be determined at any time by looking at the gauge. The noise level of this impact gun is really low. Another perk of the Dewalt DCF889HM2 is that all Dewalt products have interchangeable batteries. This is great news if you already own an older model of this gun. That battery will work with this new 20V model. As much as we love the Dewalt DCF889HM2, we found it to be too heavy after prolonged use. It weighs 11.9 lbs. The tool bag that comes with this impact gun is too small. So, you would need another tool bag to hold sockets, batteries, and charger. This impact wrench is a great tool. All you DIYs enthusiasts and occasional mechanics out there, this cordless impact wrench was made just for you. It would be a waste of time and money to go for anything that isn’t Dewalt DCF889HM2. The awesome Bosch 24618-01 is number four on our cordless impact wrench review list. The Bosch 24618-01 is one of the best cordless impact wrenches for amateur mechanics and DIYs enthusiasts. This dream power tool will do just about any job you want. The Bosch 24618-01 has a torque of 1,600 inches/lbs. (133.3ft-lbs). With a whopping 2,800 RPM, this is one powerful impact gun. This 18V tool will remove 4-inch Tek screws, lag bolts in wood and lugnuts off any car. Two Lithium-ion batteries accompany the Bosch 24618-01. 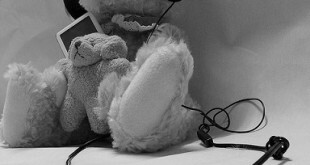 The batteries retain their charge and last for a really long time; four hours and counting. The charge time is about 30 minutes. We love that this 1/2 inch square drive impact wrench comes with a belt clip. It also has a LED light for working in dark areas. And the noise level is very low. The Bosch 24618-01 has a variable speed trigger as well as a brake button. Weighing just 3.8lbs, this impact tool is very light and compact. It is perfect for those hard to reach places in many cars. Although the Bosch 24618-01 impact wrench is great for most home and garage use, it does have some downsides. Its low torque rating makes it unsuitable for trucks. It has no battery meter to check battery and charge status. Also, we find the LED light isn’t all that bright. And there is no OFF button for the LED light. It’s on whether you need it or not. The Bosch 24618-01 is a great impact tool for anyone who doesn’t require too much power. If you’re into DIY’s home and car repairs, you’d be disappointed to pass up this impact wrench. And last on our list of the best cordless impact wrench is the Makita BTW251Z. This impact wrench is perfect for home improvement works and taking off cars wheels. This compact power tool will get the job done fast. 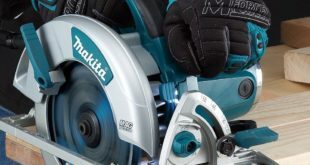 The Makita BTW251Z has a torque rating of 170ft-lbs. With 2,100 RPM, this impact tool can do just about anything. This 18V impact gun will remove lug nuts, bolts, lag screws etc. If you’re looking to get the best of both worlds (heavy duty & DIY), then the Makita BTW251Z is the impact wrench to go for. The detent pin on the Makita BTW251Z enables you to change sockets very fast. This impact wrench also comes with a LED light for working in dark spaces. One lovely thing about this impact wrench is the glow in the dark feature. The Makita BTW251Z has a variable speed trigger as well as a brake button. Weighing just 2.8lbs (bare tool only), this is the lightest impact wrench on our list. 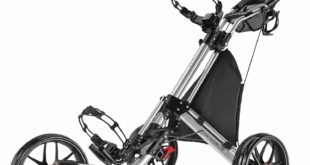 It is just right for those hard to reach places in vehicles, go karts and dirt bikes. As much as we love the Makita BTW251Z, the noise level is a little too high. It doesn’t have a battery gauge. Neither does this tool come with batteries. 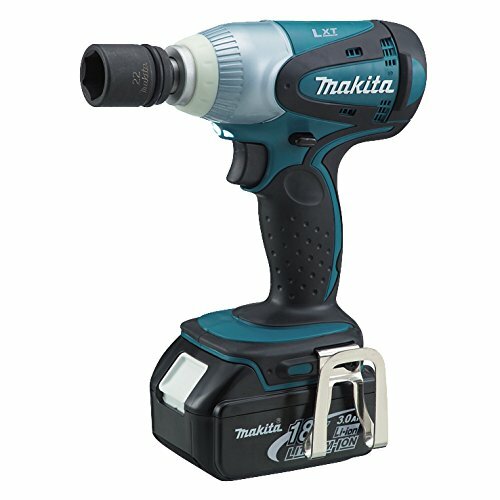 Although the battery and charger are sold separately, any Makita tool battery and charger will work with this impact gun. If you already own any Makita power tool, this cordless impact wrench will be the best fit for you. So that’s is it for the 5 best cordless impact wrench. Before you commit to buying an impact wrench, there are some factors you must consider. Good for you we took a dive on the very important factors. Don’t buy a cordless impact wrench without considering the following factors below. The torque rating of a cordless impact wrench will determine if you should buy it or not. The torque is what allows a wrench to loosen or tighten a nut. It is important to choose a cordless impact wrench that is capable of driving very tough screws. Wrenches with a minimum torque of 1600 in-lbs (133 ft-lbs) are best. After-all why is it an impact wrench! Whether you’re a professional technician or a home user, the size of the wrench should matter very much to you. One reason is that you might be working over long periods, so you don’t want to select a heavy wrench. Heavy wrenches can lead to fatigue or loss of feeling in the arm. Choosing a light to medium weight wrench is the key. The noise level involved when using your cordless impact wrench is important. You don’t want to become hard of hearing after using your wrench. Go for the quieter varieties. The quality of the battery of your wrench is very important. Your battery should be able to retain power after charging. You don’t want to stop in the middle of driving a nut to charge the battery of your wrench. Some manufacturers include two batteries to curtail this problem. 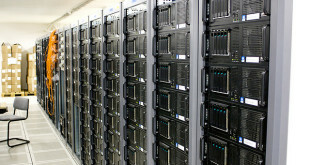 Some batteries are known for retaining charges more. It depends on the technology used. Depending on the task, the speed of the wrench should be adjustable to enable you to work efficiently. Many brands of cordless impact wrenches come with a variable speed setting. This is to allow you control the speed of torque to suit the task at hand. Your cordless wrench should not take forever to charge. A fast charge time is important. It saves you time and money spent on electricity bills. Your cordless impact wrench shouldn’t take longer than 30 minutes to charge. Though in future we are looking at fast charging technology (5 -10 min. depending on the device). 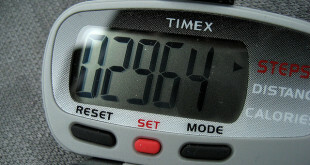 Until now 30 minutes is the optimum time for a device like this. Your comfort when using a cordless impact wrench is of utmost importance. Some brands come with soft touch grip that reduces vibrations and fatigue over prolonged use. These types are the best. Durability is one important factor. Your cordless impact wrench should be long-lasting. It shouldn’t break down after some time. Go for brands with either Aluminium or Magnesium gear case. They are more durable. Wrenches with all-metal transmission last longer. Also, impact wrenches with brushless motors are more durable than their brushed counterparts. A warranty is the manufacturer’s stamp of trust in their product. The warranty on cordless impact wrenches can vary from a year to three. 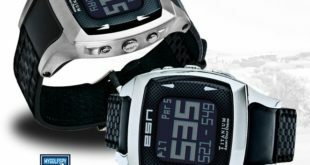 Go for brands that have a longer warranty time. This is important when you work in dark spaces. A wrench with its own LED light saves you money on buying a flashlight. It also saves you the hassle of maneuvering the flashlight in tight dark spaces. Other features like battery indicator and brake function should also be taken into consideration. By taking these factors into account, you are ready to make a purchase decision. The features look comparable. Do you mean the R86010B? We did consider the Ridgid R86010B 1/2 in. Impact Wrench on our round up/comparison. We found mostly the bare tool for ridgid. we can not say much for now till we lay our hands on it like others. However, no manufacturer would give a lifetime warranty. I am an electrical engineer and have worked in quality management. If there is a lifetime warranty it would mean its limited. Which brings us back to the basic again. We would certainly look at it and update this review if necessary. Have you used any of the Ridgid Impact Wrench?.. 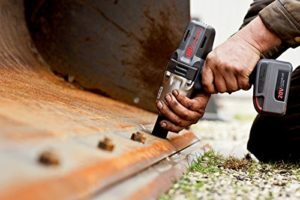 How will you compare it with the Milwaukee M18 Fuel Cordless Impact Wrench, Ingersoll Rand W7150-K2 Cordless Impact Wrench or certainly any product on this list. Do you mean the Btw102z.. or which product exactly? Why didn’t you include dewalt new 1/2in impact. Has 1200ft/lbs and out powers all of them. 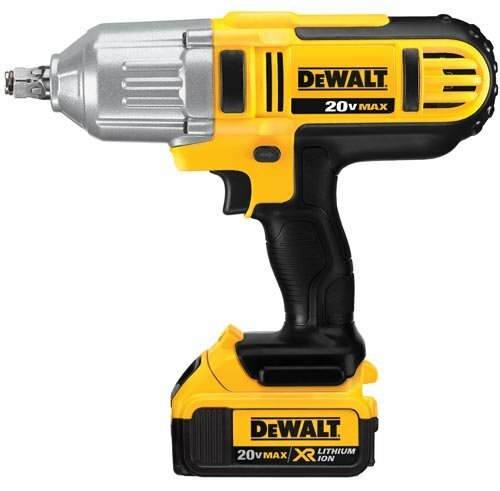 You mean DEWALT DCF899B 20V 1/2″? In a couple of month we will check it out. Every review on Top5 has been carefully crafted. Some of the products has been physically reviewed why some were based on research, opinions from industry expert, consumers reviews and other top reviewers. All recommendation or suggestion is based on our opinion and we stand by it. Terms used like Best is used to justify or categorize our findings. Top5reviewSPOT is a participant in the Amazon Services LLC Associates Program, an affiliate advertising program designed to provide a means for sites to earn advertising fees by advertising and linking to amazon.com.